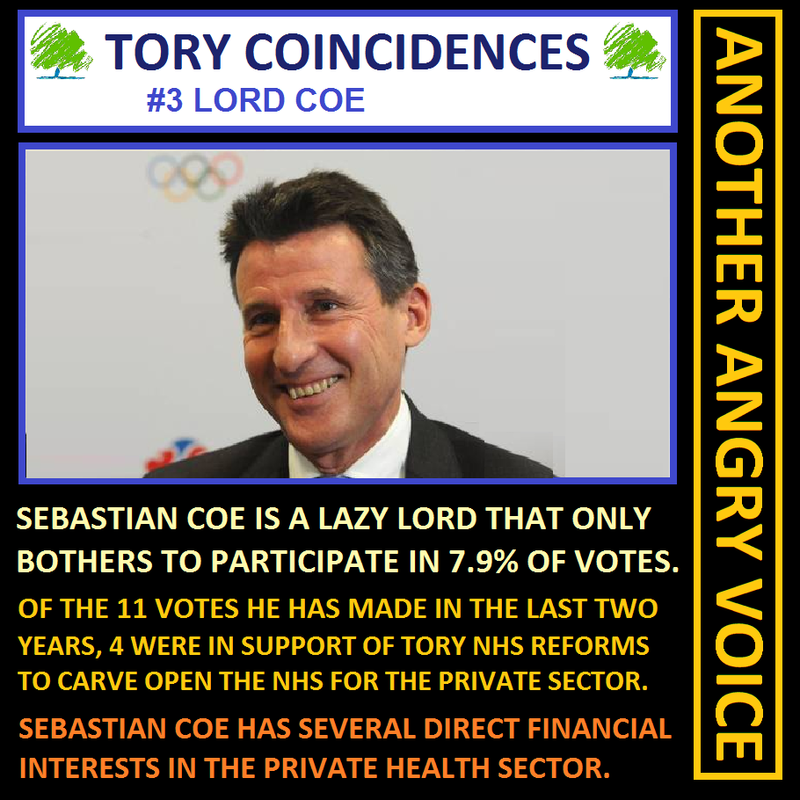 Sebastian Coe is a lazy lord. 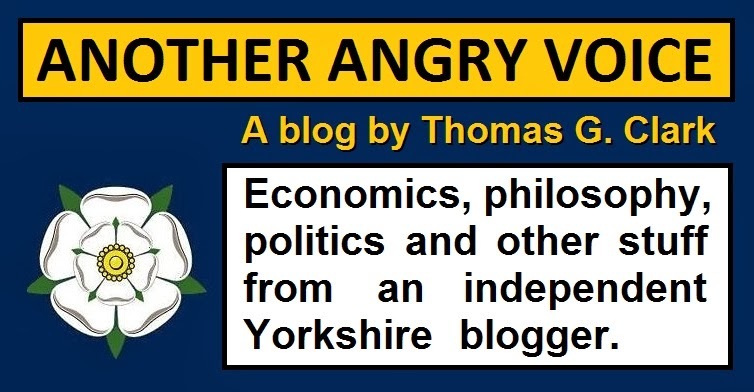 He has occupied a place in the House of Lords since the year 2000, and since then he has bothered to participate in just 136 out of 1,714 votes, which works out at a feeble 7.9%. In April 2013 Coe voted against a motion to overturn the secretive anti-democratic SI257 amendment on the grounds that it went against assurances that were made in both houses of parliament that "NHS commissioners would be free to commission services in the way they consider in the best interests of NHS patients". So along with his fellow Tories, and all but one of the Lib Dem peers to vote, Sebastian Coe voted against NHS commissioners freedom to commission services in the best interests of patients. Is there a possibility that it could be his own financial interests? 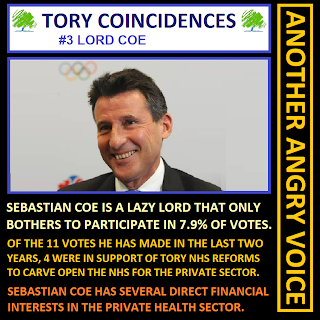 Well, according to the parliamentary register of members interests, Sebastian Coe has a number of financial interests in private health companies which could stand to profit enormously from the carving open of NHS services for the private sector to cherry-pick. He is a director of a company called AMT Sybex, which already supplies the NHS with IT systems. As an established NHS supplier, one would expect AMT Sybex to be leading contenders to win more contracts, once NHS commissioners are compelled to tender virtually everything to the private sector. Coe is listed as a "strategic advisor" to PruHealth, another private sector interest that stands to benefit enormously from the legislation their man helped to ease through the Lords. One of the elements of the Health and Social Care Bill that should be of particular benefit to private health insurance companies like PruHealth is the decision to allow NHS hospitals to provide up to 49% of their care to the private health sector, meaning that cash strapped hospitals will be incentivised to give priority access to NHS facilities to paying private health patients, ahead of NHS patients. Yet another one of Coe's interests in the private health business can be found by looking into Chime Communications, the company that used to be his rights management company, of which he is chairman. One of Chime's subsidiaries is a health care consultancy and communication agency called Open Health, which helps clients in the "changing landscape of healthcare marketing". It would seem that this rapidly growing health consultancy would be able to benefit by picking up new business thanks to the huge changes to NHS healthcare provision eased through the House of Lords with the assistance of their own group chairman. I'm not going to say what I think about the fact that a man that hardly ever turns up to vote in the House of Lords, suddenly turned up to vote four times on legislation which would have a dramatic effect on a sector in which he holds numerous financial interests. I'll leave it up to you to form your own opinions.